It’s one of those mornings when growling of one of the most powerful four-cylinder engines broadens the smile on your face. 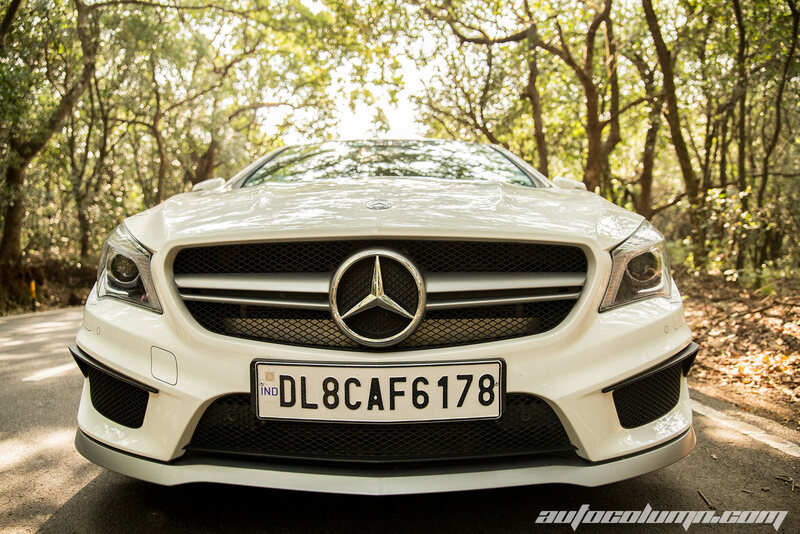 Shakespeare said what’s in a name, but this AMG has a completely new story to tell. 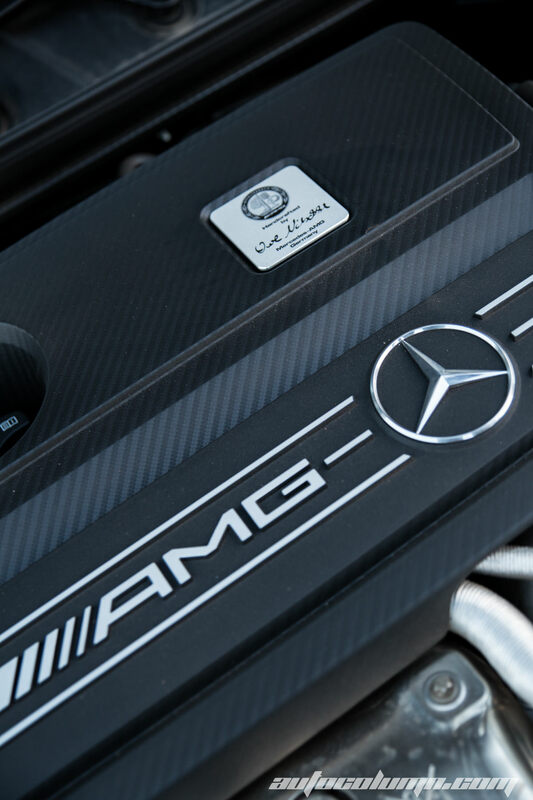 In 1967 two ex-mechanics from Mercedes founded a racing forge named AMG Motorenbau und Entwicklungsgesellschaft mbH (AMG Engine Production and Development, Ltd.), where A and M stands for Aufrecht and Melcher the names of two mechanics and G from Großaspach (Aufrecht’s birth Town). 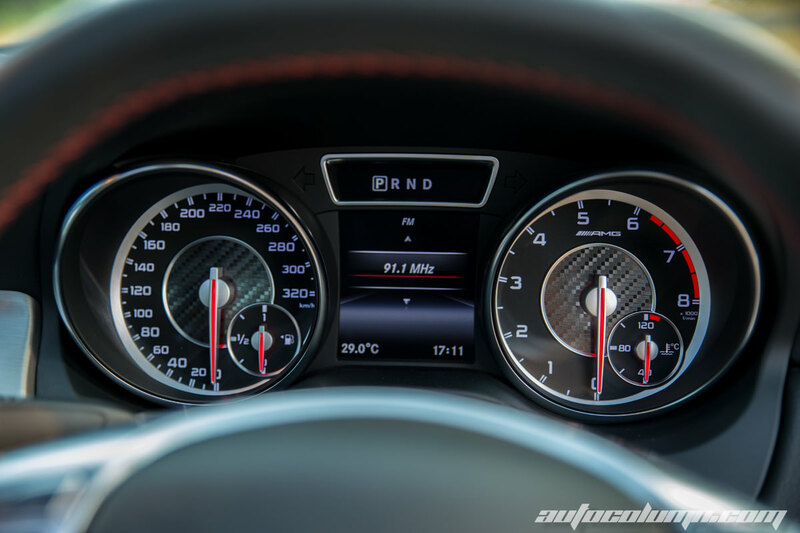 AMG gained popularity as being exclusive Mercedes car modifiers, in 1990 AMG signed a co-operation agreement with Daimler-Benz, AMG performance parts and cars were officially sold at Mercedes-Benz showrooms. In 1999 Daimler AG, then known as DaimlerChrysler AG, bought the controlling share of AMG and made them part of the official Mercedes-Benz line-up. On 1 January 2005 Aufrecht sold his remaining shares to DaimlerChrysler, and since then Mercedes-AMG GmbH has been a completely owned subsidiary of Daimler AG. 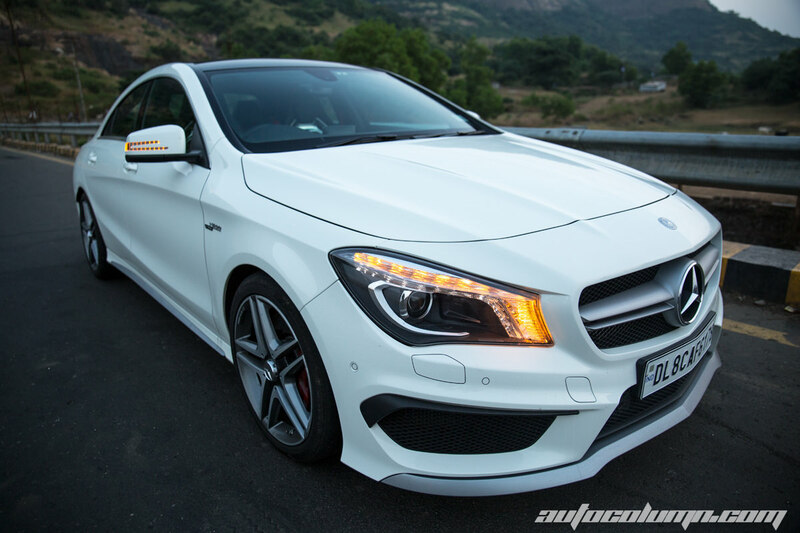 Well, now as you know what AMG is, let’s uncover the latest AMG offered by Mercedes-India, The CLA-45 AMG. 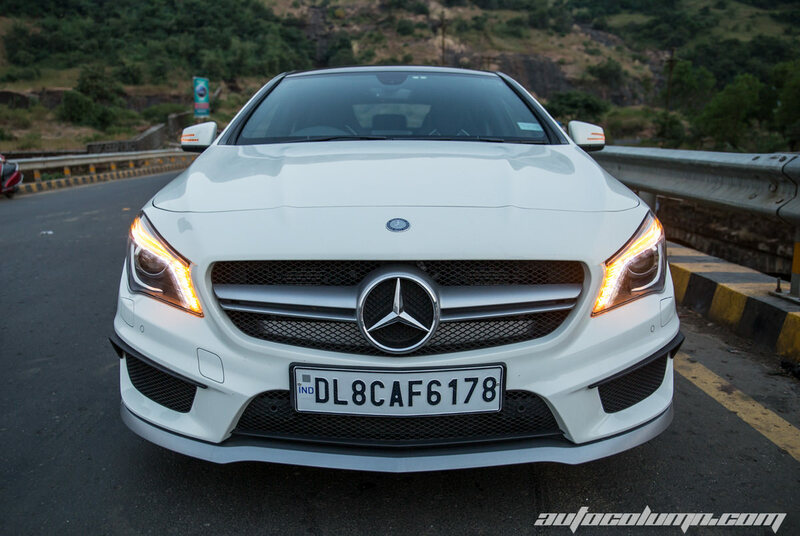 As 2014 Mercedes Benz CLA is developed on the same MFA platform as that of A class, It shares its design with A class, in fact, you might confuse yourself when you glanced at its front view. 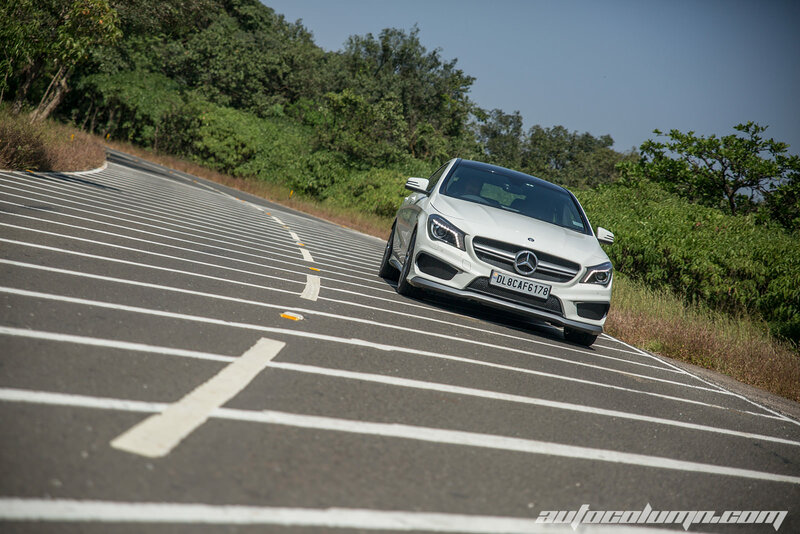 Its sleek, aerodynamic shape will remind you elder CLS and it is actually longer and wider than the current C-Class sedan. 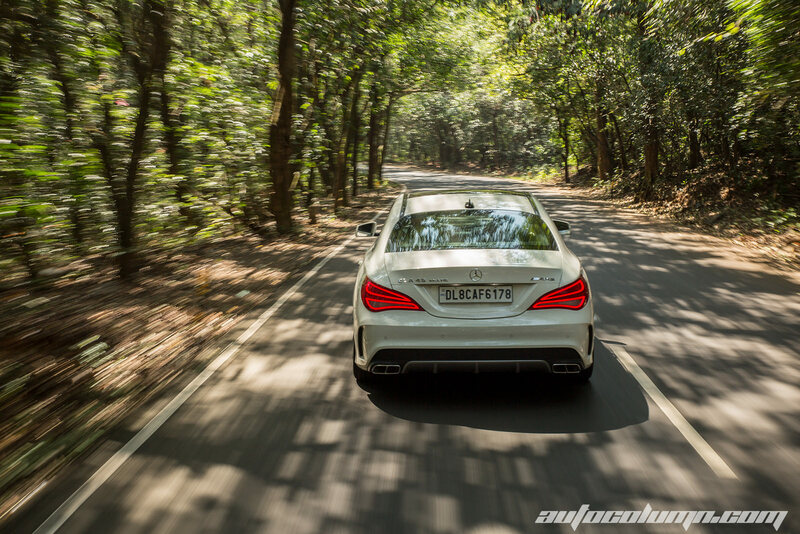 Mean looking LED taillight and perfect flowing lines makes you forget the odd looking tail, besides that CLA is one curvy hot looking AMG. 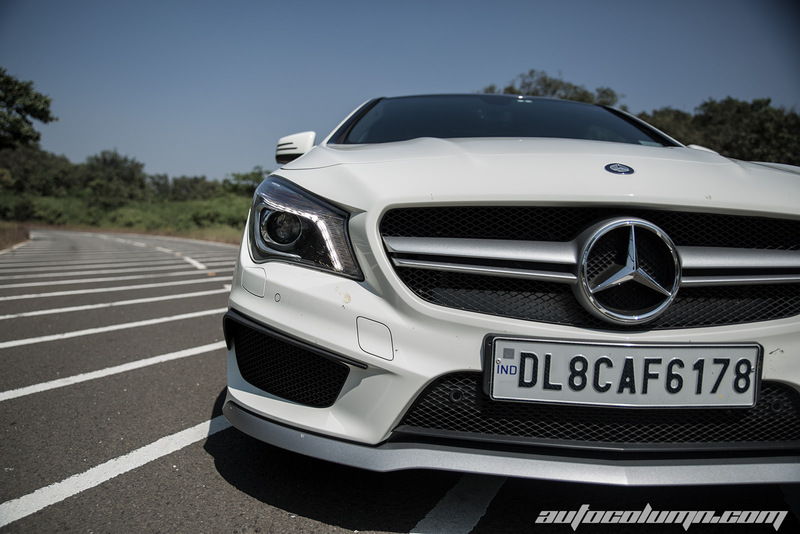 As you step inside CLA, you will get to see what exactly you’d expect from Mercedes. Though it shares some components with A class, the fit and finish is just perfect. Round air-vents and flat galvanized dash panel compliment each other well. 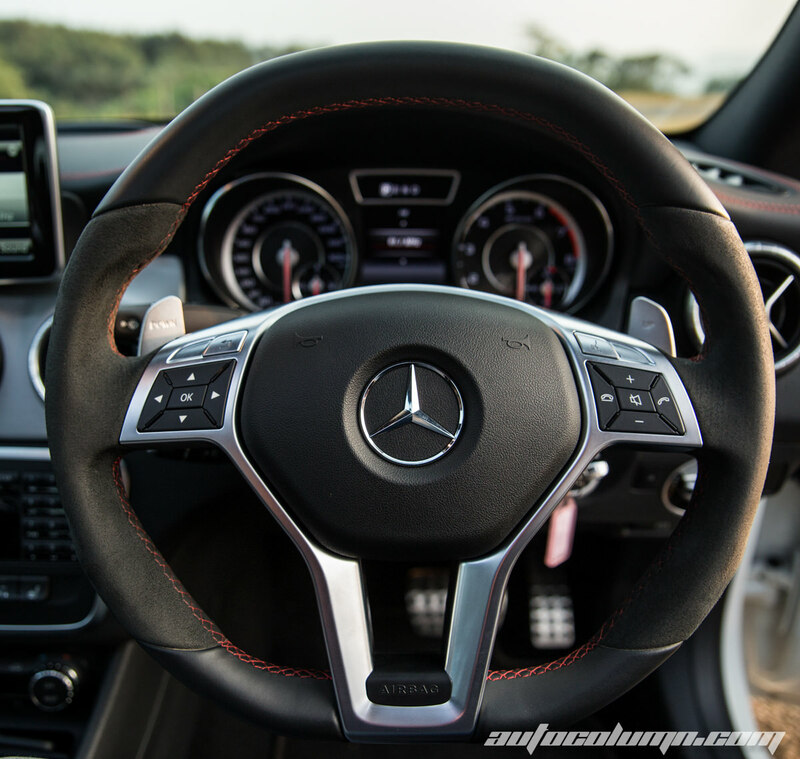 What we liked the most is red-cut seats with red panel highlights; the leather is flawless and small touches like the solid metal AMG monogram in the seat-backs, red stitching and red seat belts add that sporty touch. 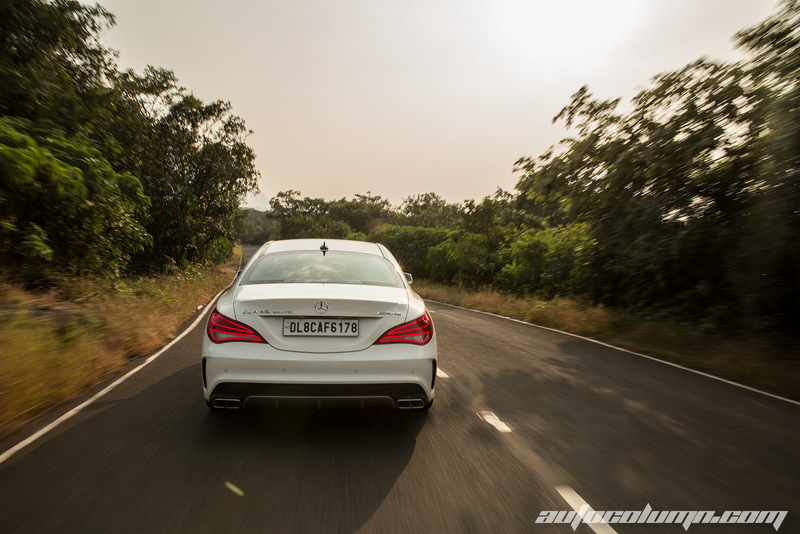 What you miss is fully adjustable side bolsters and active side supports in the corners that comes with E63 AMG. Back seats are not the place you’d like to sit in this car, its very compact and legroom is restricted. Rear visibility is a bit of problem and things get more problematic when reversing out of the parking spot. 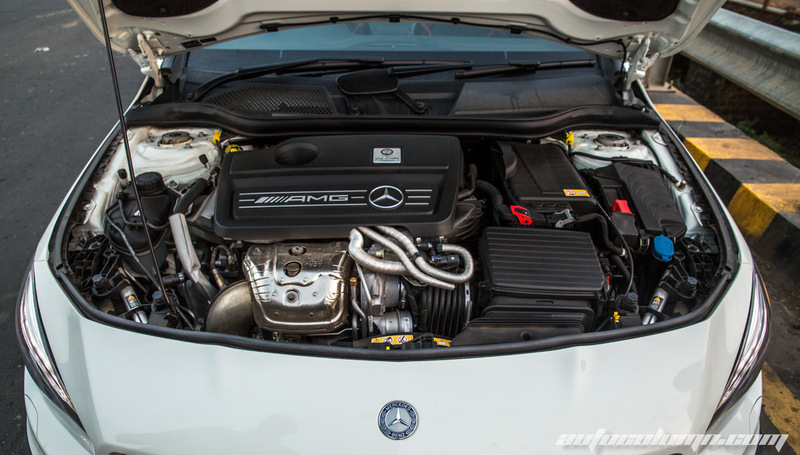 Well its AMG and the special things are supposed to be hidden under the hood. 360 horses and 450 Nm by a 2L engine is completely hand crafted by one man at a time. 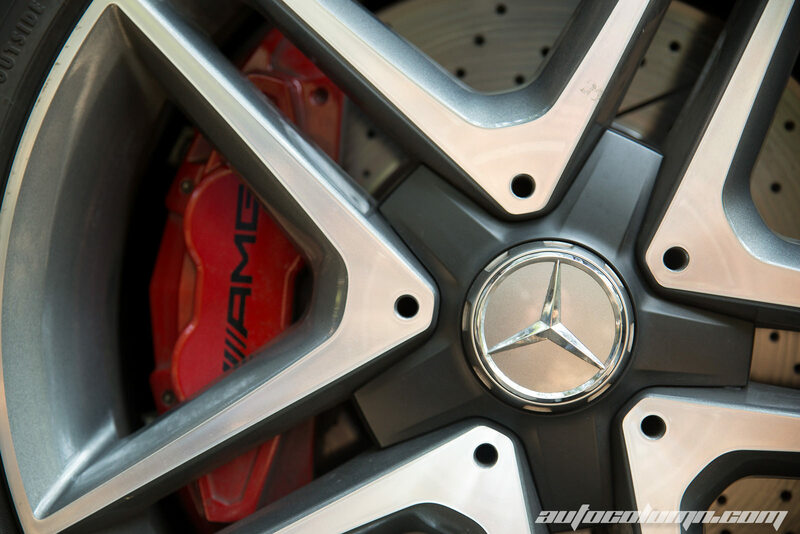 AMG uses a special crankshaft, pistons, and a sand-cast aluminum block, which is stronger than the die-cast unit. The perfection at ground level and attention to details is so much evident when you actually feel it. It goes 0 to 100 in a mere 4.6 seconds, making it the most powerful four cylinder motor in the world. As soon as you push that throttle the motor will leave no stone unturned to give you an adrenaline rush. 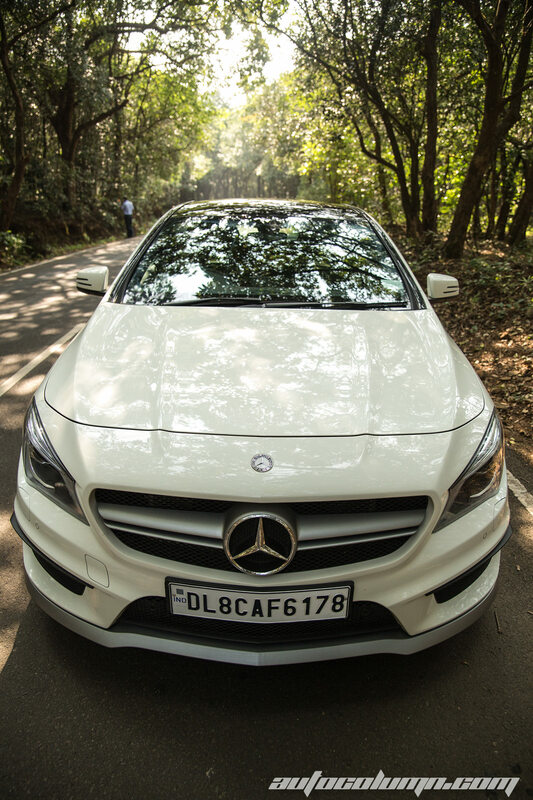 Built on 4-matic the CLA45 AMG gets all electronic together to keep car in driver’s control and works hard actively behind the steering wheel to keep the car on the road and not on the vegetation nearby.Until the front wheels start to slip, the car steers on front wheels only. The on board computers make no mistake, to send power from FWD to AWD on the go. Then the variable AMG 4MATIC all-wheel drive system splits the torque between the front and rear axles to a ratio of up to 50:50 percent. 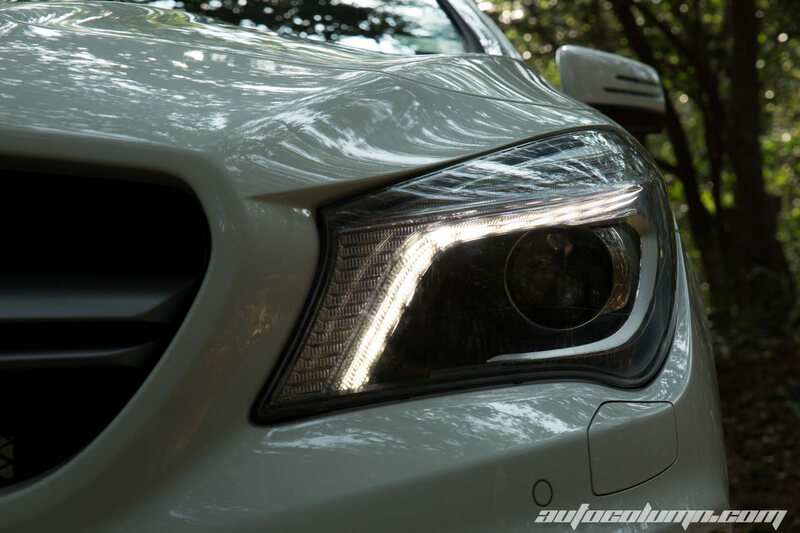 This is one of the most intelligent, active AWD systems offered by any manufacturer in India. The Car steers swiftly through corners, one can turn off ESP and can have a sideways going fun. 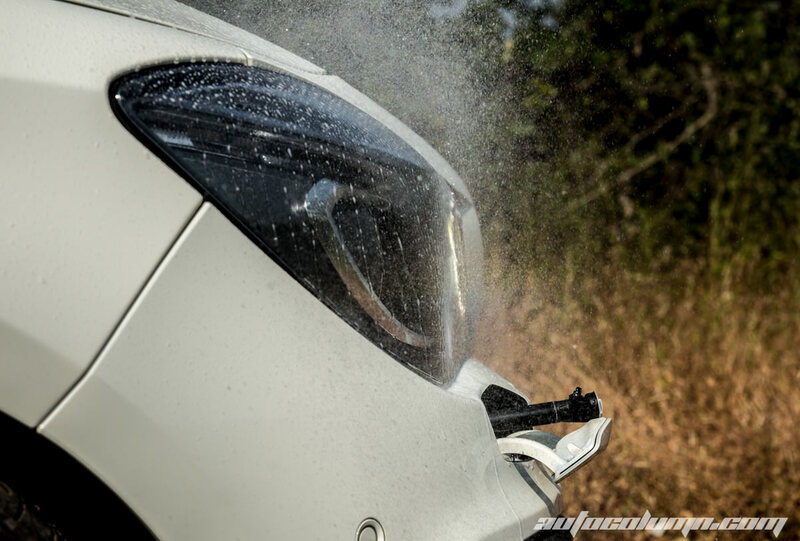 You can also opt for sports handling mode, which prevents unwanted understeer. 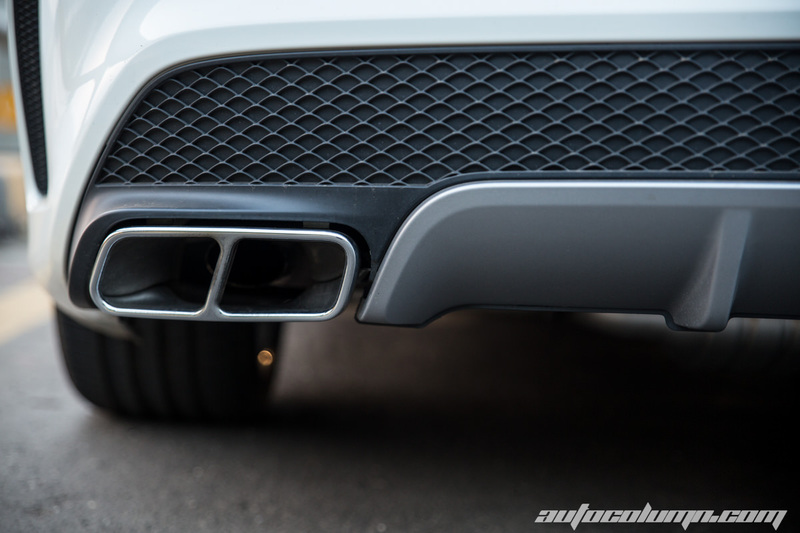 The chassis and suspension combinely make car agile and fun to drive. The manual mode allows you to go all the way to the red lines and it stays there to ensure quicker moves. Curb weight is 3,599 lbs, that makes power to weight ratio as 10.1 lbs/hp which is tremendous for this size of car. The car gets 18 inch rims and sticky rubber on it is just having an aspect ratio of 40. This means breaking is quick enough to stop this car from top level 3 digit speeds to 0 in a few seconds. 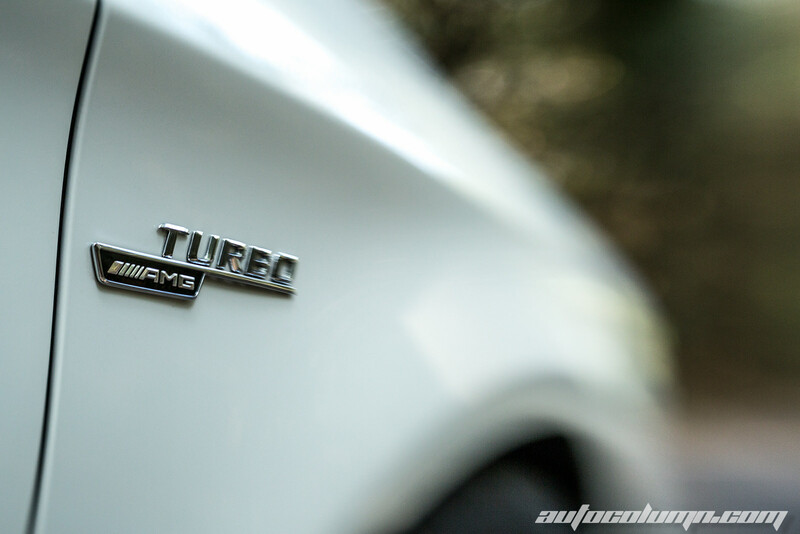 Mercedes engineers have tried their best to minimize the turbo throughout the RPM range. 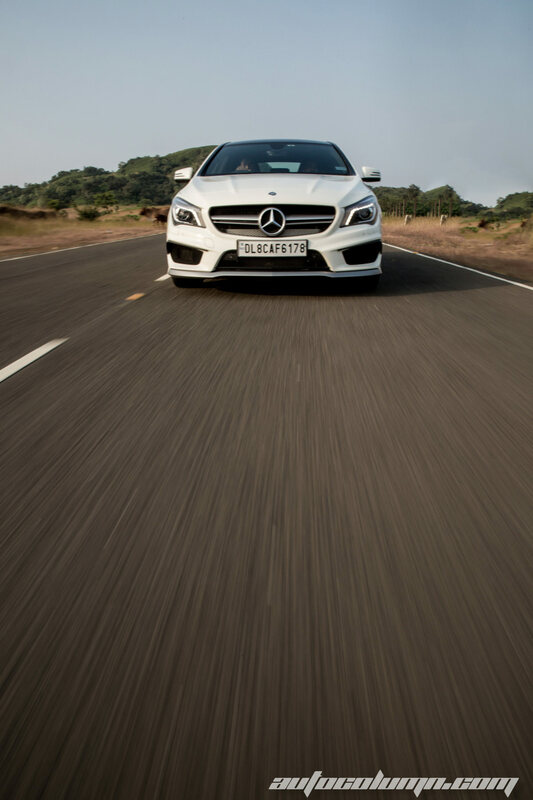 One can feel the push passed 3000 RPM, that gets linear till 6000 RPM, thanks to seven-speed dual clutch transmission with three driving modes which keeps the momentum between driving and driven shaft just the way you expect from an AMG. 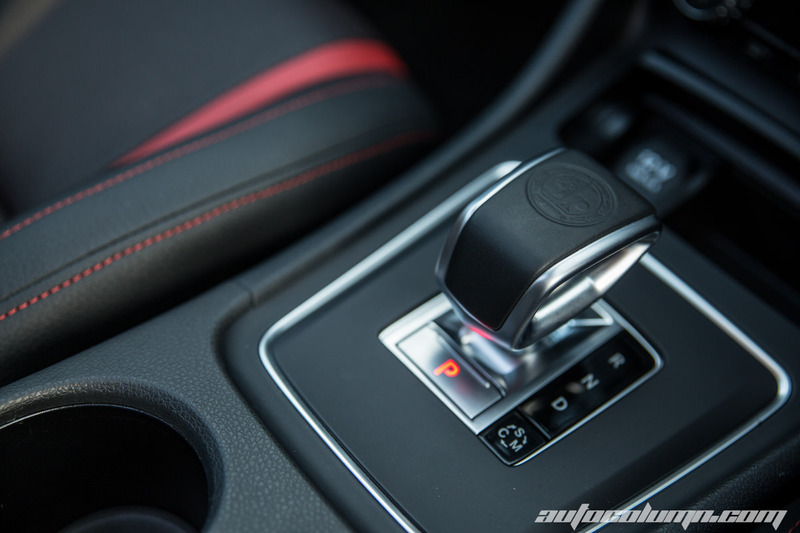 Though the seven-speed still lags in transitions, like when accelerating from a stop or going from reverse to drive. The best way to enjoy this car is to drive on a race track. 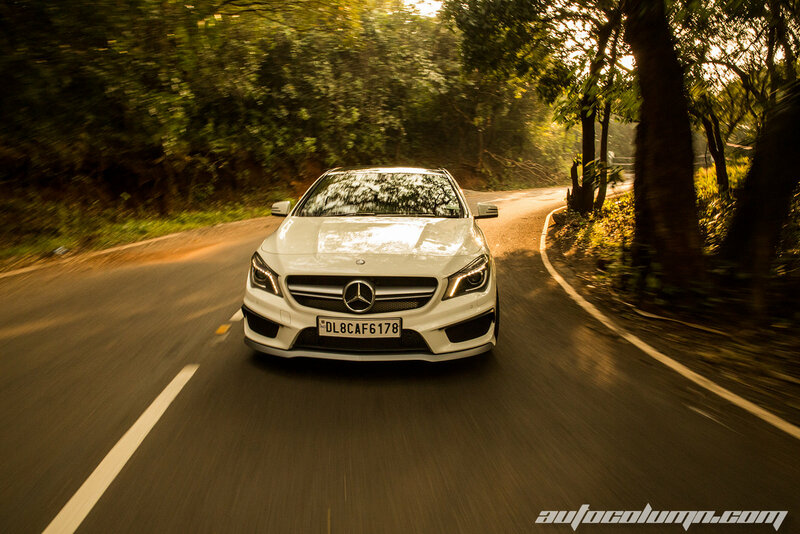 That’s the place where the CLA45 AMG will combine all its capabilities together to perform best out of it and will surely bring a big smile on the face of the commander. 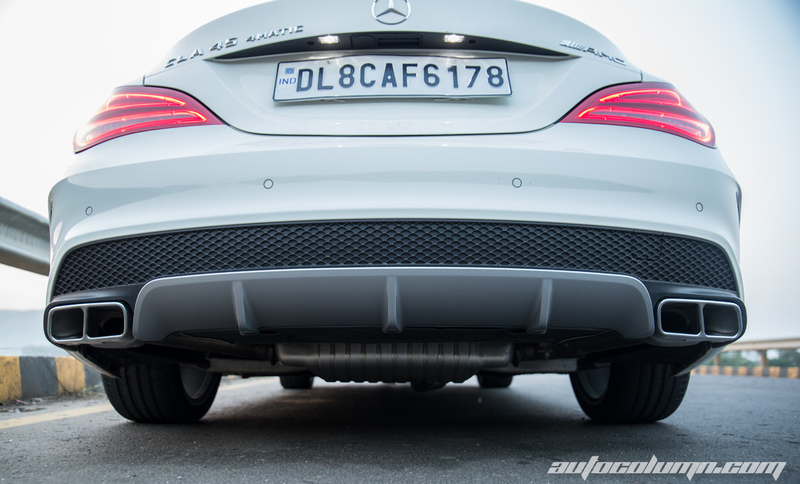 Now lets get to the heartbreaking part, though CLA accelerates like an AMG but the exhaust note is just not satisfactory, technically it’s just how a four cylinder turbo motor sounds, but somewhere your heart is not ready to accept an AMG to sound that way if you have heard bi-turbo V8 of E63 AMG. 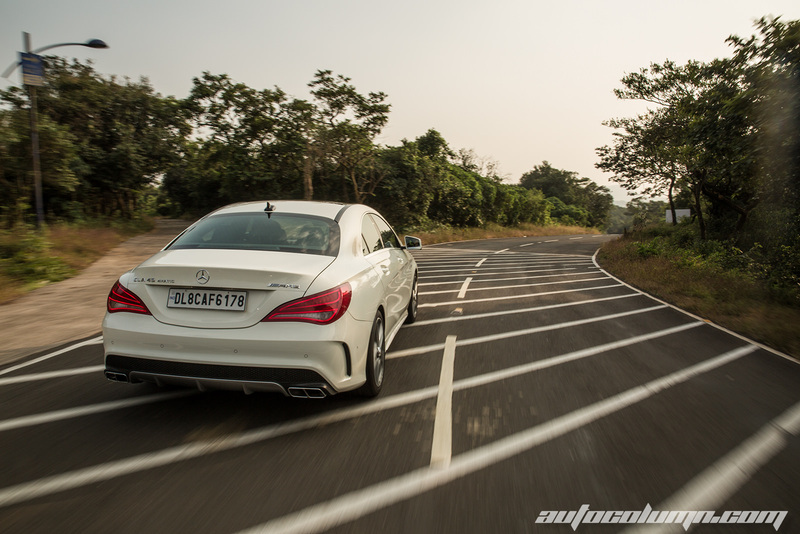 CLA is also equipped with AMG performance exhaust, but the surprisingly misfiring at high revs was just not convincing, the misfire sound combines with the sound of the turbo waste gate and car sounds like more of a tuner car. This is maybe we are used to bigger and refined AMG engine cars from Mercedes-Benz. Safety: Mercedes is synonymous with passenger safety. Standard features include nine airbags, hill-start assist, ABS, attention assists (detecting driver drowsiness), belt tensioners, blind-spot alert, collision prevention assist (which, combined with Distronic Plus) and the list goes on. 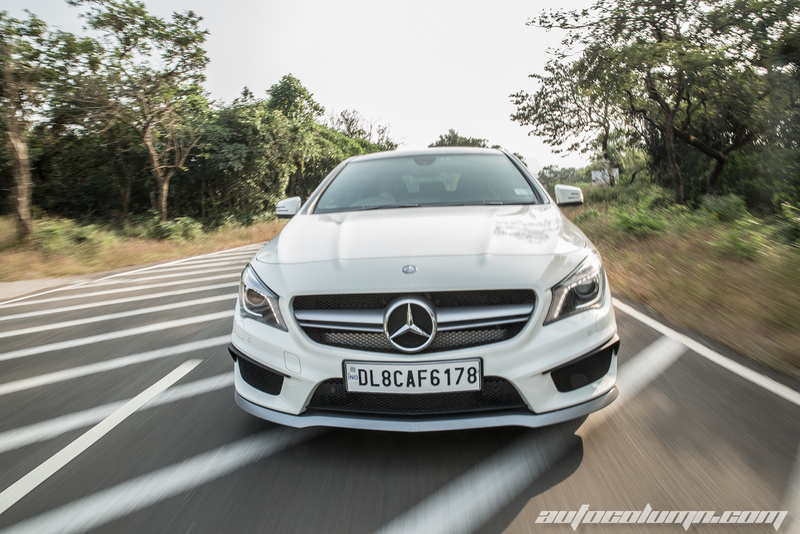 Priced at Rs 68.50 lakh (ex-showroom, Delhi) CLA doesn’t come cheap, but that also makes it one of the most affordable AMG in India.